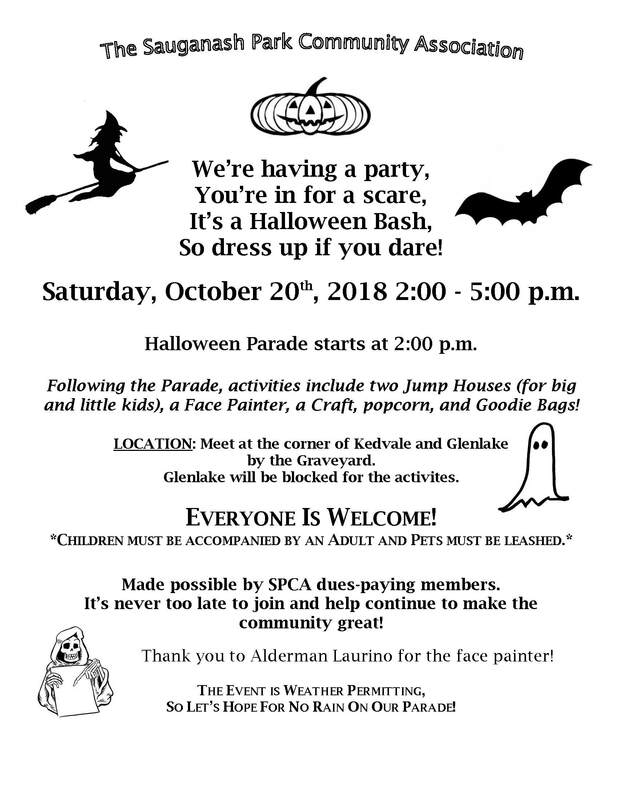 2018 Halloween Party | Saturday, October 20th, 2018 2:00 – 5:00 p.m.
Saturday, October 20th, 2018 2:00 – 5:00 p.m.
Halloween Parade Starts at 2:00 p.m.
Face Painter, Crafts, and Goodie Bags! Glenlake will be blocked for the activites. Made Possible by SPCA dues-paying members. 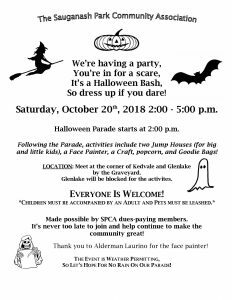 Thank you Alderman Laurino for getting us a face-painter! THE EVENT IS WEATHER PERMITTING, SO LET’S HOPE FOR NO RAIN ON OUR PARADE!